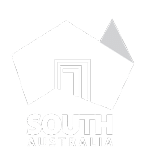 Vinehealth Australia is a vital part of the South Australian and national biosecurity landscape. We play a key role in keeping South Australian vines healthy and safe from pests and diseases, through our on-ground response activities, research and development priority setting, innovative projects, and providing a comprehensive suite of practical biosecurity tools, services and resources. We are committed to delivering outstanding value to growers and the broader wine industry, with a sharp eye on phylloxera and other key pest and disease threats to our vines. Enjoy exploring this INDUSTRY section of our website. Questions? Comments? Contact us via admin@vinehealth.com.au or phone (08) 8273 0550.